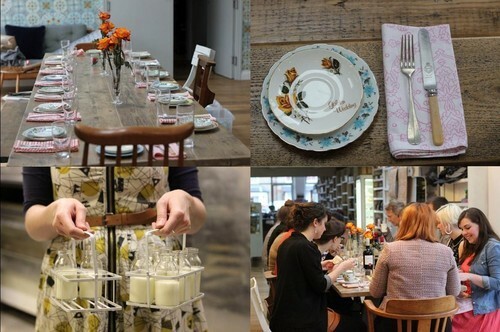 We enjoyed our first Supper Club experience so much that we’re back for more! This time we’ll be serving up a 5 course Middle Eastern inspired menu including a welcome drink. A supper club is a very sociable way of dining with everyone sat together on big table and sharing dishes so feel free to come with friends or alone, either way you’ll be warmly welcomed and made to feel at home! The evening will start at 7.30pm with a welcome drink and canapes and we will begin the meal at 8pm. Places are limited so to reserve yours just drop an email to platelickersanonymous@gmail.com with your names and any allergies or dietary requirements you have. There is a suggested donation of £30 and we invite you to BYO along with a big appetite. Our top secret location in central Cambridge will be shared with attendees just a couple of days before the event. If for any reason you need to cancel, please let us know as far in advance as possible so that we can offer your place to somebody else & save on food waste.